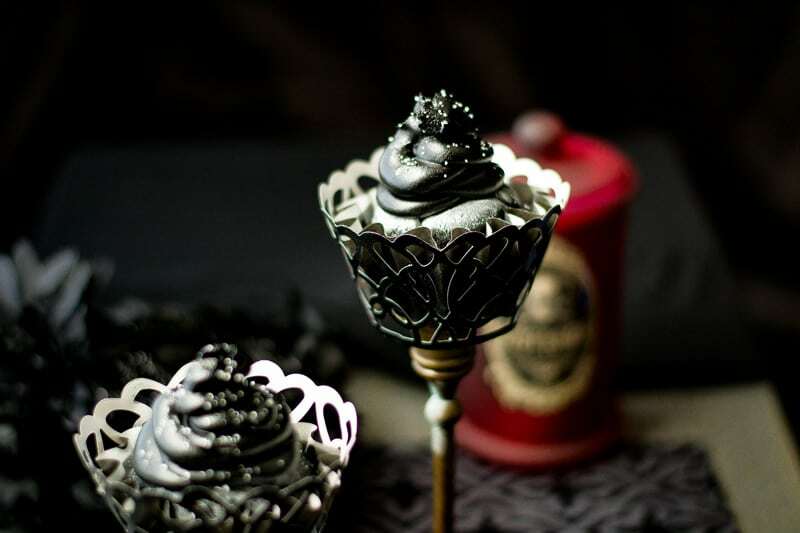 Dark as a moonless night, with sprinkles of condensed shimmering spells - Black Magic Cupcakes are sure to cast a spell. 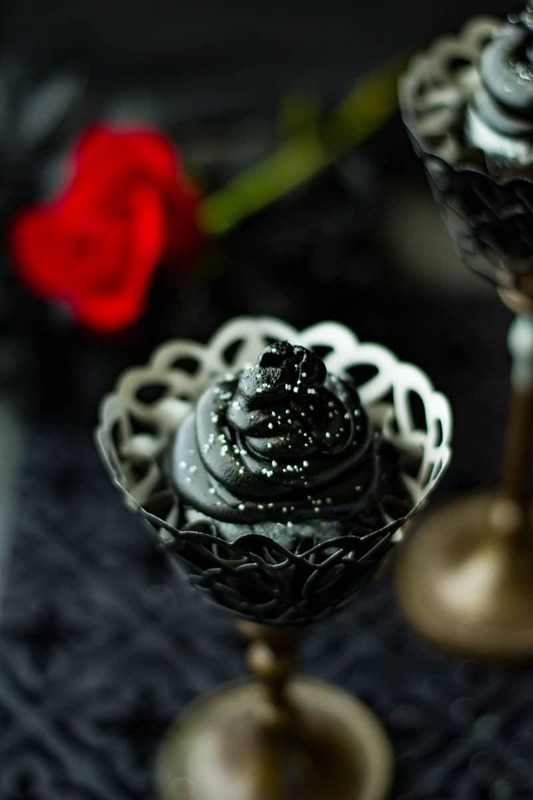 One simple ingredient will take delectable dark chocolate cupcakes and turn them into Black Magic Cupcakes, darkly mystical treats that’ll mesmerize on every Halloween night. Yes, the cupcakes are a true black which we highlighted with tiny edible silver sprinkles. We used Americolor Food Color – Super Black to achieve the right color for both the cupcake and the buttercream. 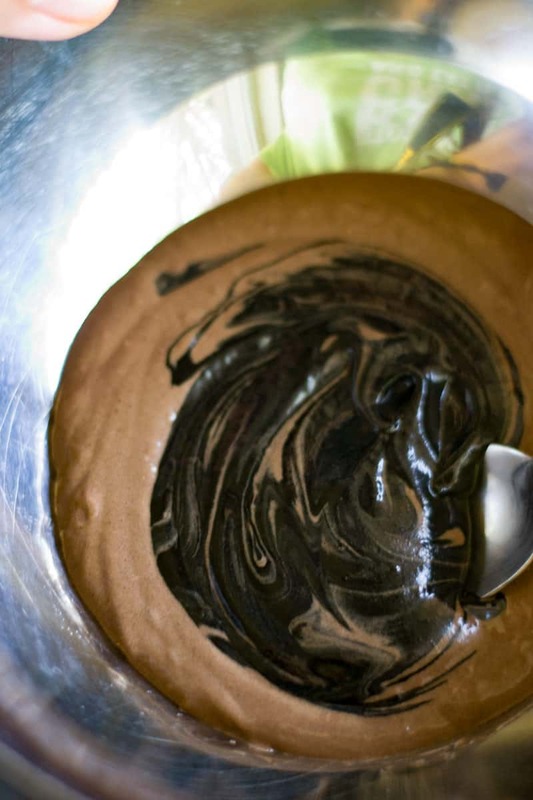 You’ll want to make sure your original batter is as dark as possible. Otherwise, if you try to mix the food color with a yellow cake, for example, it’ll turn out gray or you’ll end up using way too much of the food coloring. Warning, this stuff can get everywhere if you’re not careful. Once speck on your fingers will leave your countertops looking like a dusted fingerprint crime scene. Fitting for Halloween, but a pain to clean. 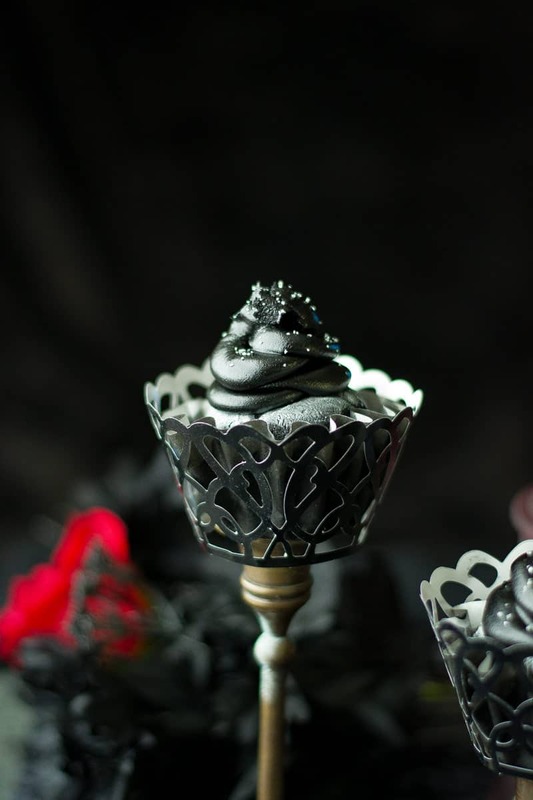 A little silver lustre dust at the edges of the cupcake help to highlight the rich black dressing right above it. Another warning and this may certainly thrill the kids, the cupcakes will stain your mouth and lips completely. You may not even need Halloween makeup. You’re mesmerized by this recipe. You’ll pin it now, won’t you? Black Cupcakes made with Super Black for Halloween. Adjust an oven rack to the lower-middle position and heat the oven to 350° F. Line a standard-size muffin pan with baking cup liners. Melt the butter, chocolate, and cocoa in a medium heat proof bowl set over a saucepan filled with 1 inch of barely simmering water, stirring occasionally. 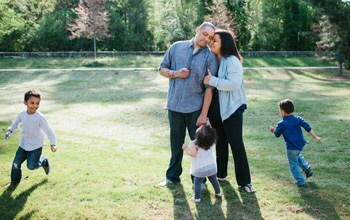 Set aside to cool until just warm to the touch. Whisk the flour, baking powder and baking soda in a small bowl to combine. Whisk the eggs in a medium bowl to combine, add the sugar, vanilla and salt, whisk until fully incorporated. Add the cooled chocolate mixture and whisk until combined. Sift about one-third of the flour mixture over the chocolate mixture and whisk until combined, whisk in the sour cream then sift the remaining flour mixture over the batter and whisk until homogenous and thick. Stir in two tablespoons of Super Black. Add more in teaspoon increments until you achieve the desired black color. Divide the batter evenly among the muffin cups, bake for 18-20 minutes rotating the pan half way through the baking time. Makes eight cupcakes. Allow cupcakes to cool about 15 minutes before Icing. In a stand mixer fitted with the whisk attachment, beat the butter at medium-high speed until smooth. about 20 seconds. Add vanilla extract into the butter and combine at medium-high speed for about 15 seconds. Add confectioners sugar and salt, on medium-low for about 45 seconds, scrape down the bowl with a rubber spatula. Increase the speed to medium-high and beat until light and fluffy about three minutes scraping down the bowl once or twice. Add 10 drops of Super Black and blend again until incorporated. Judge color and add more if necessary. Add mix to a piping bag with a nozzle of your choice and pipe using small circles onto cooled cupcakes. 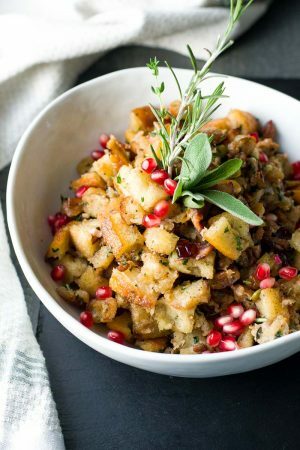 Garnish with silver sprinkles. These are so cool! I love that they are classy and not over the top but they are so pretty! They would be perfect for Halloween or even just a black and white themed party. I bet they’re delicious also! We used a high-quality chocolate and didn’t go overboard with the sugar so it takes really rich, but not cloying. You can also change the paper crown to a white or silver one and it would be perfect for a B/W party. Oh. My. Goodness. These cupcakes look absolutely AMAZING. I love all the ingredients, and what a fun way to combine them. Any Halloween party is sure to be successful with these goodies! These are stunning!! I can say one thing I have never made is black buttercream icing. 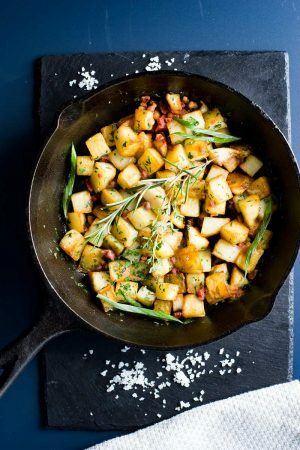 Saving this recipe for when I need it! Ha! Ha! I made a cake last year that I decorated with black frosting. It was quite the showstopper but boy was that black frosting a pain. And on top of that it left the tongue and teeth black too. . .which I am sure the kiddos find extra amazing. These cuppies are absolute beauties though. . .and I love the addition of the silver sprinkles. Truly magical. I have a pre-halloween party and I think I am making these cupcakes. They are super cute, and I have a feeling the black icing can be messy but look cool. 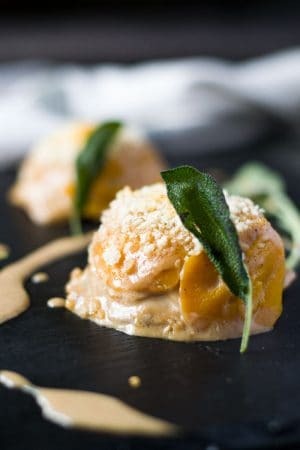 The recipe seems easy to follow and I love how you presented them. Wow! These cupcakes are so fun – perfect for Halloween!! Halloween is one of my daughter’s favorite holidays. She loves just the whole celebration and dressing up and things. I will have to try to make this for my daughter. She would love making this cupcake for the holiday and celebrating with that. This is seriously one of the most creative, lovely desserts I’ve ever seen. I bet it tastes really great too! Such a perfect treat for Halloween! You really should have your own bake shop. All your desserts are amazing! Thank you! It tastes like fudge, but not too sweet. I very much appreciate your compliments.